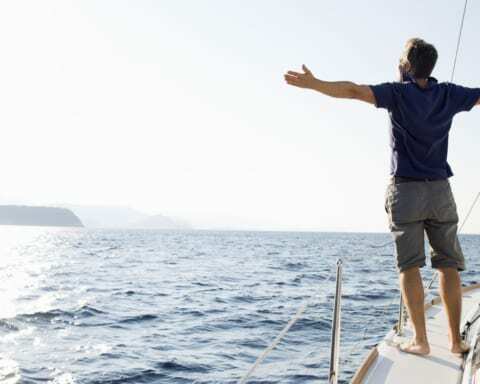 The rich career of Arnold Schwarzenegger as an actor allowed him to earn a lot, and he decided to spend a portion of his wealth on cars and various vehicles. If you didn’t live under the rock for the last 40 years, you definitely know who this guy is. Arni was the main star of Terminator franchise and was involved in so many great and epic Hollywood releases. Almost all the roles that he landed came thanks to his muscles as he was one of the biggest guys in the business. Schwarzenegger is not only an actor, before becoming a famous Hollywood star he was a professional bodybuilder and he managed to take a total of seven wins at Mr. Olympia. Arnold is still active in movie making, but since he is 70, he slowed down. We could see him in the role of a politician as he was Governor of California in two terms from 2003 to 2011. 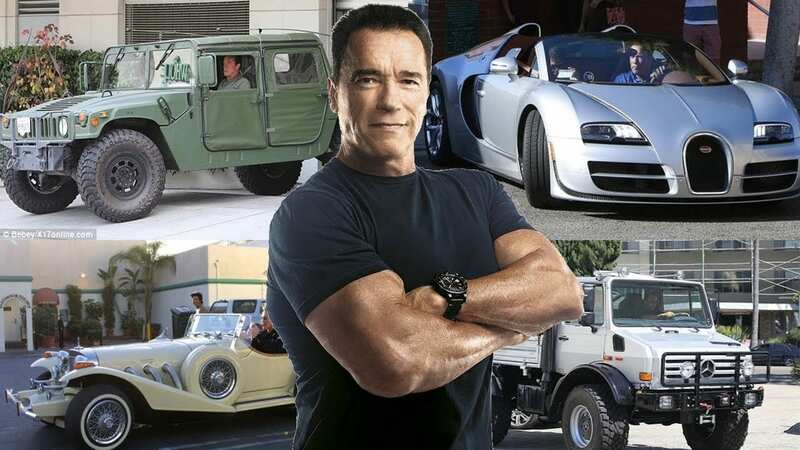 Let’s take a look at Arnold Schwarzenegger’s car collection. One thing that we want to note is the fact that muscle guy like him has ultra-luxury models but also real muscle cars and vehicles that are considered quite manly. Those are some that go best with his character of a Hollywood tough guy. 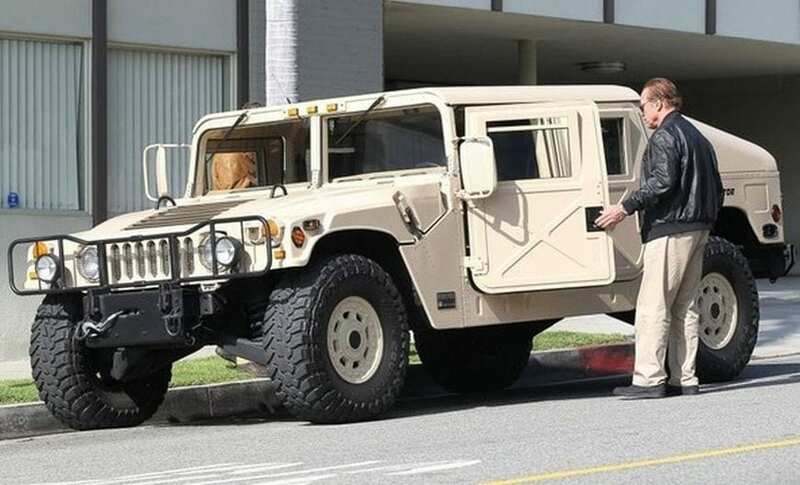 If you want to show your manhood with a car, it is pretty hard to beat Hummer H1. It might look silly for a nonmuscle guy to drive one of these, but in this case, it seems like it was built for Arni. We always wondered who was the inspiration for Ranier Wolfcastle character from The Simpsons. 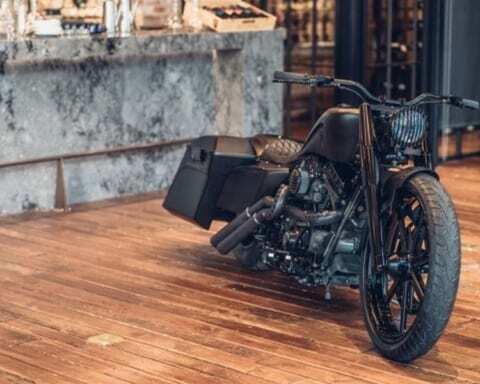 The Austrian native is a real Terminator, at least on the screen, and if you are looking for a muscle car that would fit that machine well, you don’t need to go any further than the Dodge Challenger SRT that he was driving. 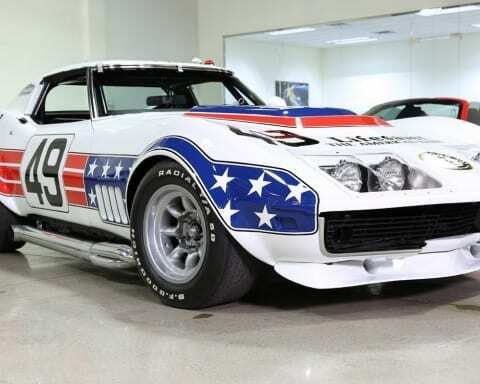 He was spotted on multiple occasions driving this one. 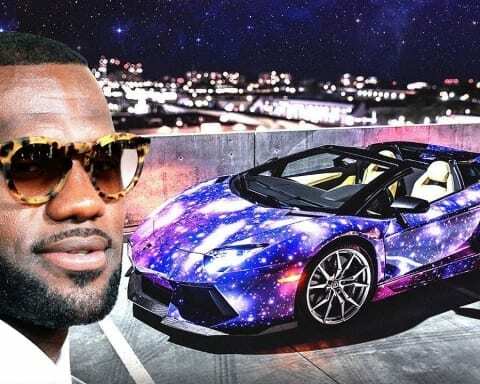 It is clear that Arnold Schwarzenegger didn’t forget Europe and one of the cars on the list is the Mercedes-Benz SLS AMG. 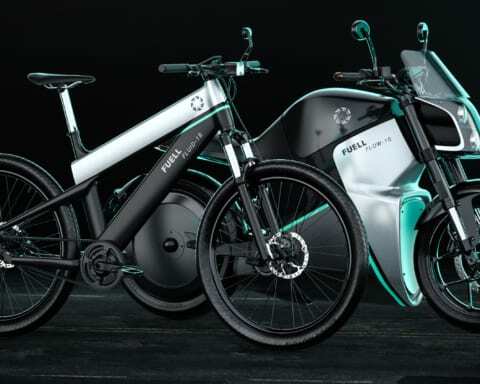 We are sure that this German vehicle reminds him of his home and that is certainly one of the reasons to buy this beauty. With 6.3 liter V8 under the hood, this beast delivers 563 hp and 479 lb-ft of torque which is more than enough for it to provide supercar performances. 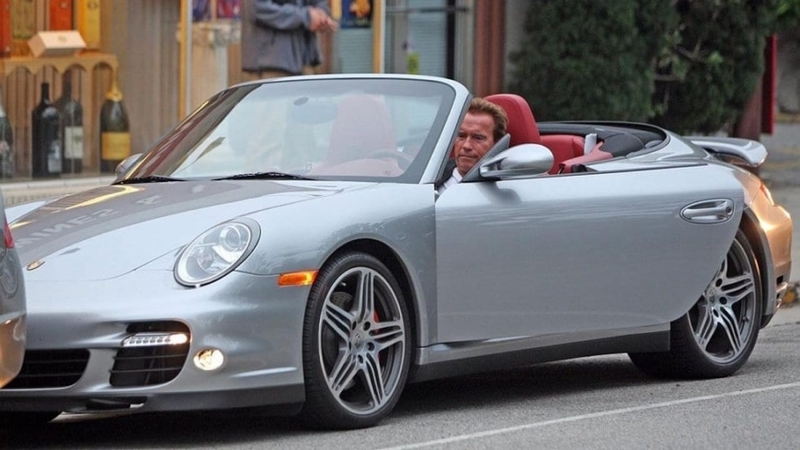 Another European ride in the collection of Arnold Schwarzenegger is the Porsche 911 Turbo. 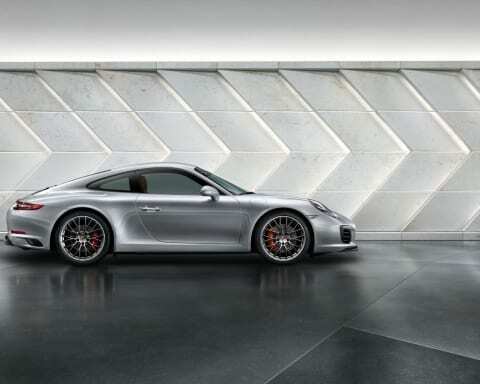 Red interior goes very well with the gray exterior, and it suits the famous actor perfectly. 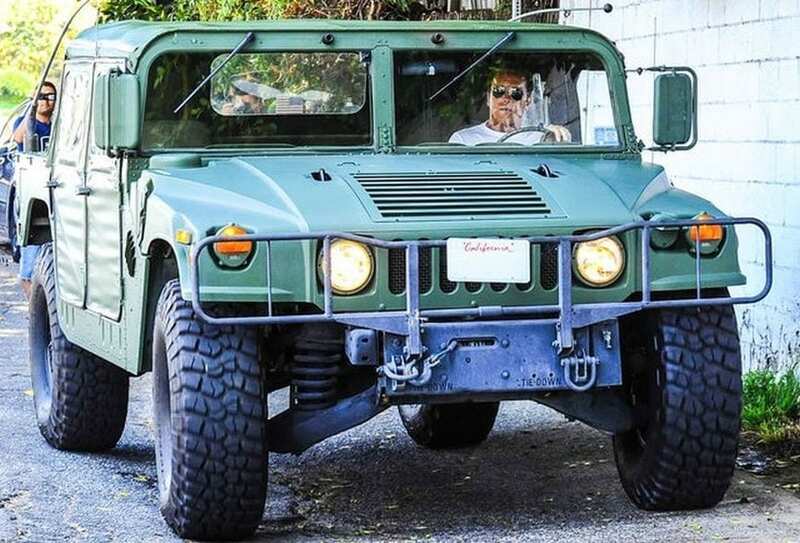 Some of the best roles in Arnold Schwarzenegger’s resume were military related, and we can easily imagine this man driving around in various vehicles that are used by the military. 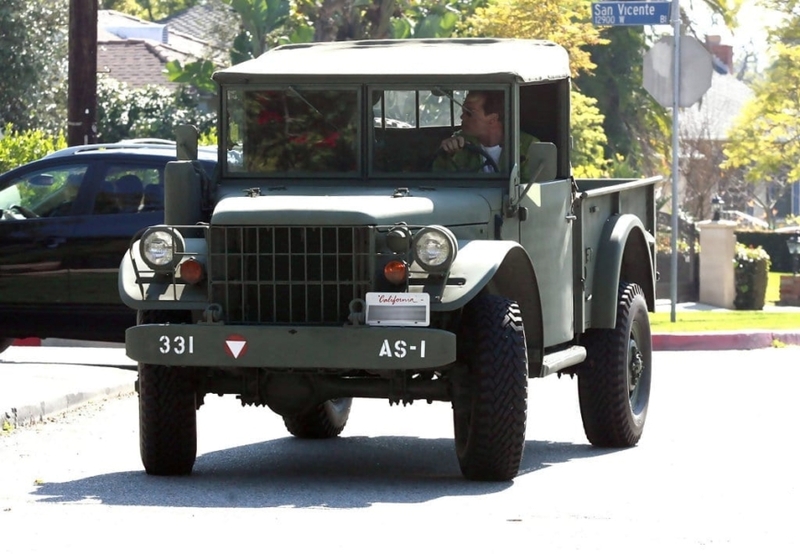 A similar case is with the Ex-Military Dodge M37, and we need to say that this is a truck that you will rarely find in garages of famous people. 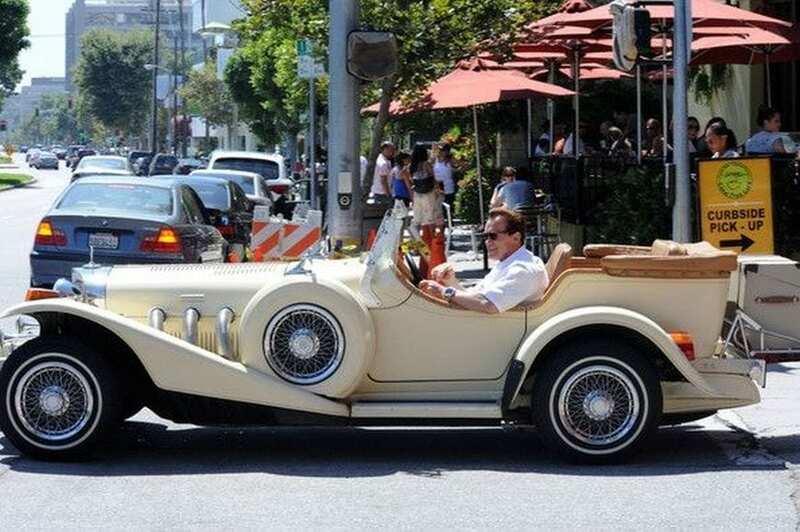 The Excalibur is a proof that Arni has some classy vehicles in his collection and on top of that he enjoys driving it. 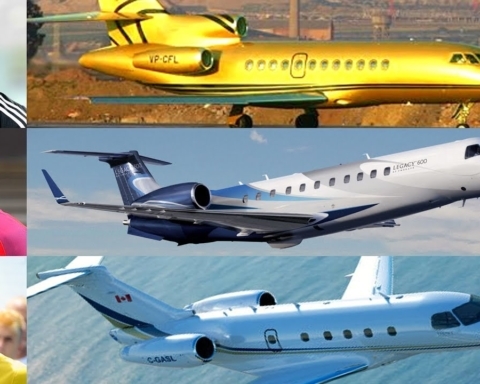 We are among many that didn’t even hear about this brand, and that isn’t anything strange as it isn’t all that famous. 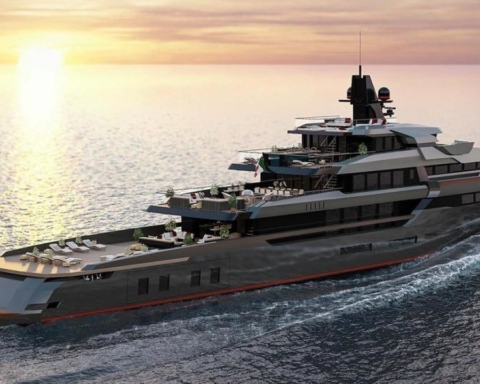 It is already clear that Arnold Schwarzenegger has a lot of money and many great vehicles in his garage. He decided to get another Hummer H1, but this one comes with a Terminator written right above the wheel clearly indicating who is behind the wheel. M47 Patton Tank, or any other tank for that matter, is a rare sight in the luxury collections of Hollywood stars, but it is clear that Arni is slightly different. 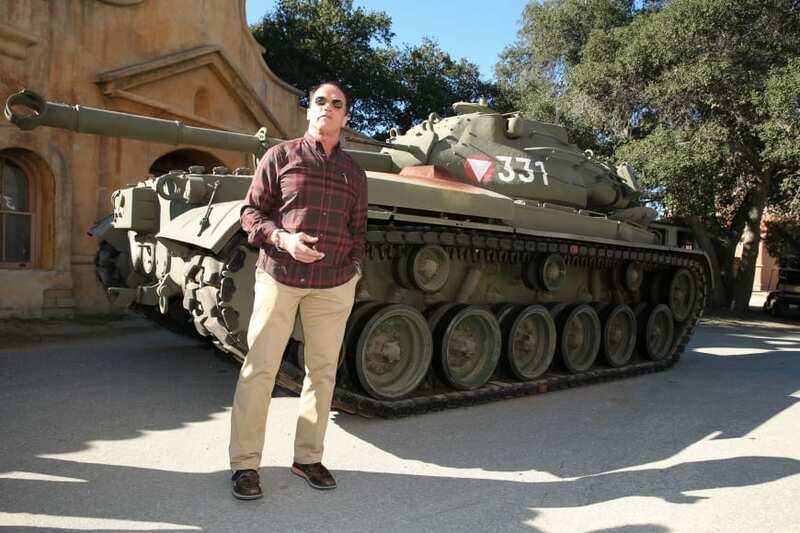 This tank was created for Korean War, and Schwarzenegger, later on, bought one that he used to crush cars for charity. Lots of fun, we are sure about that. When you think about luxury cars you definitely think about Bently as one of the best brands on the market in that segment. When former Mr. Olympia wants to ride in ultimate luxury, he opts for the Bentley Continental GTC. 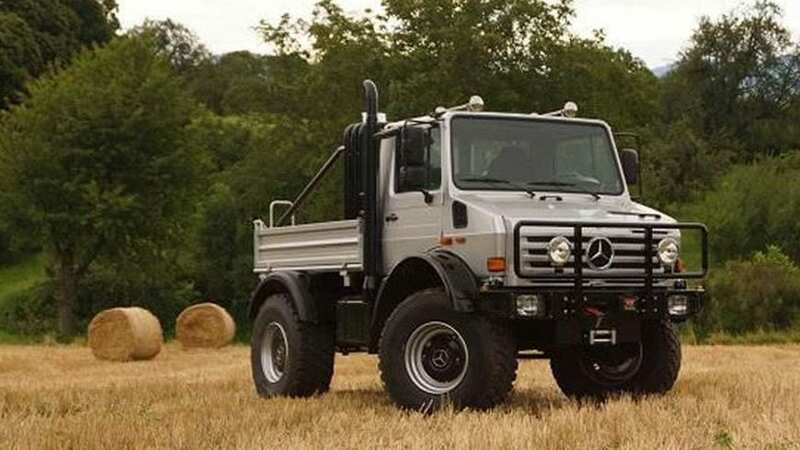 Another massive vehicle in Arnold Schwarzenegger’s garage is the Unimog that carries Mercedes badge on the grille. You might wonder why he needs this machine in his collection, well, it is simple, why not. Previous Story Previous post: 25 Actors Who Should Play James Bond – Who is the Best?